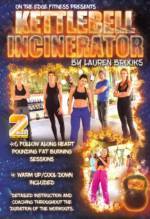 Get Ready for Quick, Efficient, & Body-transforming Workouts with Lauren Brooks! 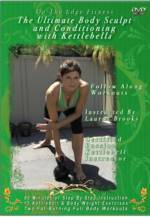 Whether you’re a beginner or a seasoned lifter, join Lauren Brooks as she once again transforms your Kettlebell workout routine with her no nonsense approach in Shut Up and Train with Kettlebells. Unlike any workout you’ve ever experienced, Shut Up and Train with Kettlebells has combined the best of both worlds. With six intense workouts under 15 minutes each, you’ll have no excuses left when it comes to transforming your body. Just like the twelve minute workout on our popular Ultimate Body Sculpt and Conditioning with Kettlebells, you’ll have six fat-blasting workouts to chose from that get progressively more challenging! Whether you’re a beginner or more advanced, this short and sweet, results driven program will produce increase energy and leave you feeling amazing! Now let’s stop talking so we can Shut Up and Train!